BUILDING presents, from 16 May until 14 July, Second Solution of Timelessness, an exhibition curated by Helmut Friedel and Giovanni Iovane, a collective of contemporary artists, who, through various techniques and languages, from the ’60s until today, focused their attention on the perception of time: existential time, duration, “an act of faith in the infinite” (Lucio Fontana) and even an obsession. An exhibition of ‘research’, the first at BUILDING, in a path of museum character, for the importance of some loans – from public and private institutions – that offers to the city of Milan an interpretation to decode some visions, which fascinated artists and trends from the late twentieth century Italian at the beginning of the third millennium; an ever present and absolutely timeless obsession. 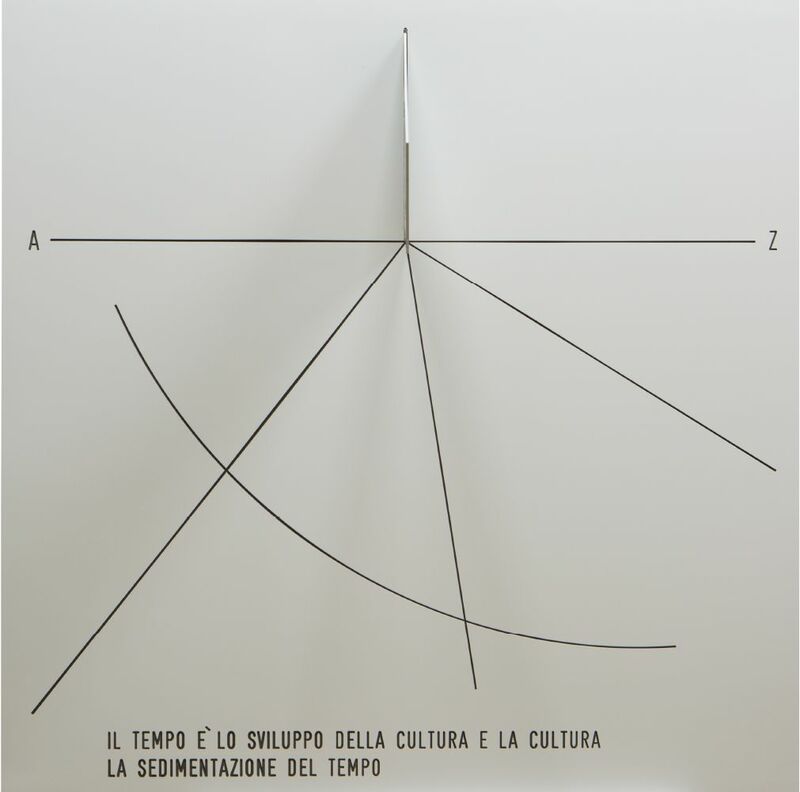 The title, inspired by the exhibition project conceived by Gino De Dominicis (1947 – 1998), for the Venice Biennale in 1972 (Second Solution of Immortality), aims to describe the meaning, the mise en scène – in the true meaning of reflection and implementation of a performative act – the obsession for time, meaning and signifier, incommensurable physical phenomenon, difficult to immortalize, contain and understand, staged and repeat, hence the tension, either mystical or ironical, in many contemporary artists, to grasp and to replicate an oxymoron: a timeless time. 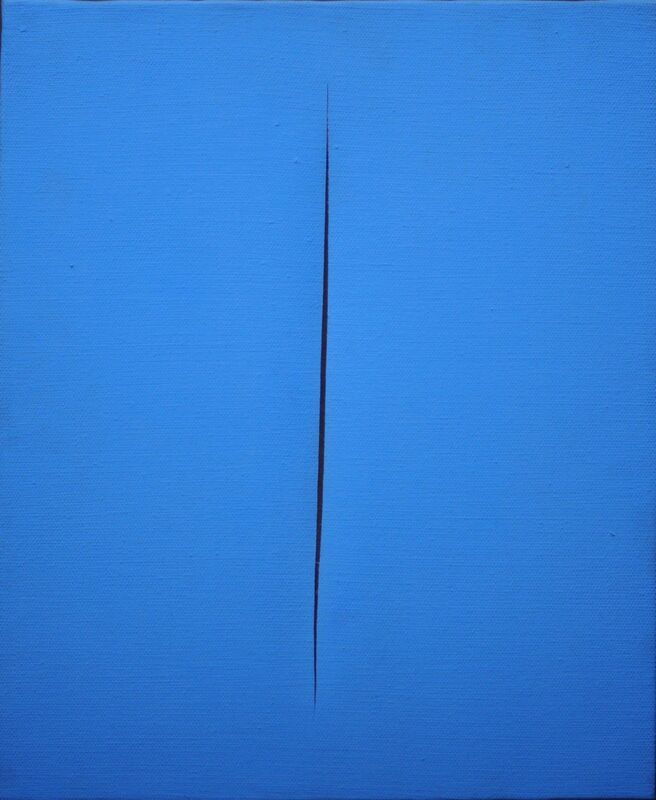 The Manifesto of the Spatialist by Lucio Fontana (1899 – 1968), in its formulation and iteration, in several examples of the Concetto Spaziale e Attese, dialogues in the exhibition with the results of Giovanni Anselmo (1934) and Vincenzo Agnetti (1926 – 1981), but above all by Luciano Fabro (1936 – 2007), who gives the observer a more poetic and rarefied vision of the idea of space and time, for example in the Imprints of 1982, or in Tre modi di mettere le lenzuola of the 1968 and in Davanti dietro, destra, sinistra, cielo. Tautologia, also from 1967/1968. 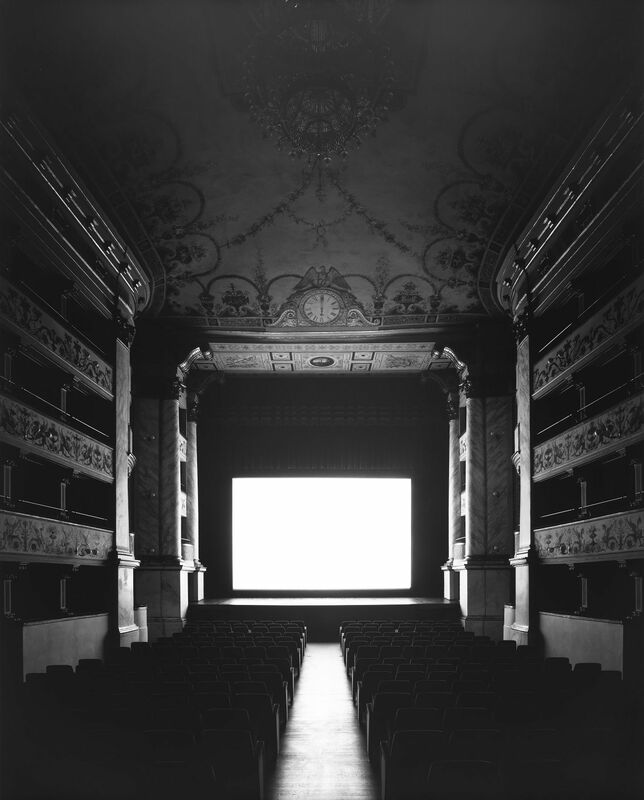 Le Meridiane – tempus mentis of Agnetti offer instead a representation of time as an architectural and naturalistic reminiscence, in the shadow of the sun, pursued while marking the hours of the day, an ancient instrument, which contains an unconscious wisdom, as a series of vanitas from the 17th century are historical and timeless allegories. 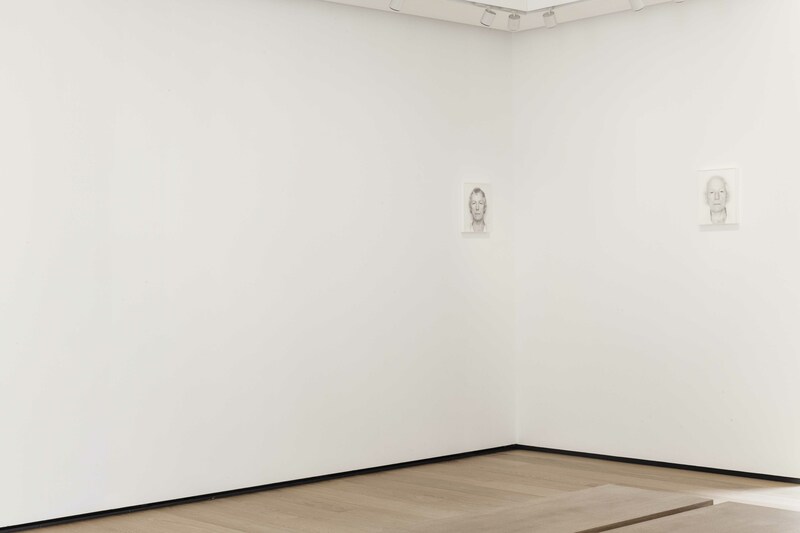 Numbers are signs, universal and univocal, tangible and concrete, predisposed to ‘counting’ time, or the absence of the same; the number becomes cell, monema and phoneme, in the language of Roman Opalka (1931-2011): his voice, a sound work, shows the artistic practice on display. 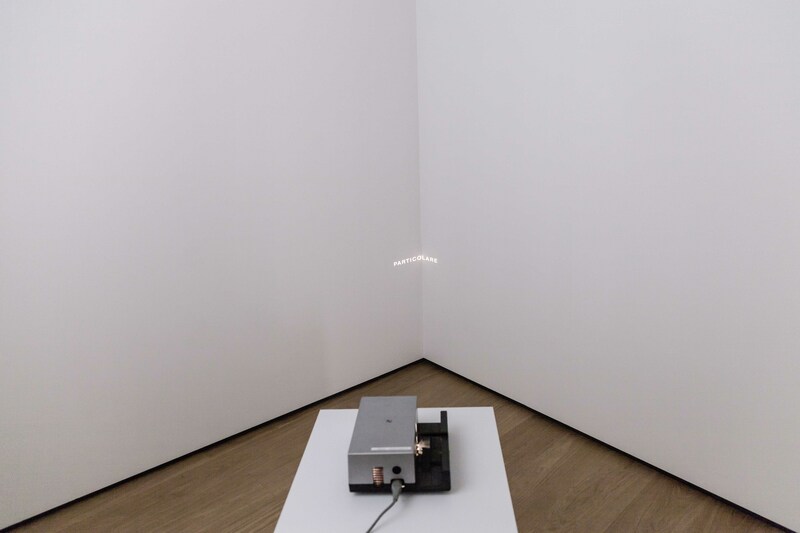 Another numerical progression, illuminated in the darkness, returns in a work of 1984 by Tatsuo Miyajima (1957). While Hiroshi Sugimoto (1948), with the series of Theaters (2014-2015) introduces the idea of exposure, temporal, technical and metaphorical duration, in his photographs, as it happens in the film and in Kimsooja’s photographs (1957), A Laundry Woman – Yamuna River, India, 2000 and A Needle Woman – Kitakyushu, also realized in 2000, mimesis and synthesis of a performative artistic practice. 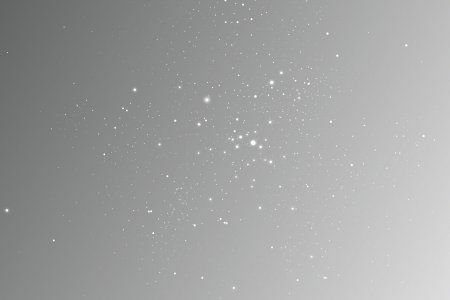 One Million Years and I Got Up of On Kawara (1932 – 2014), are further results of this research: writing and receiving a message, reading, in an intimate way or aloud, from which emerges a memory and the consequent aspiration to the eternity of a sign, that intends to understand past, present and future. 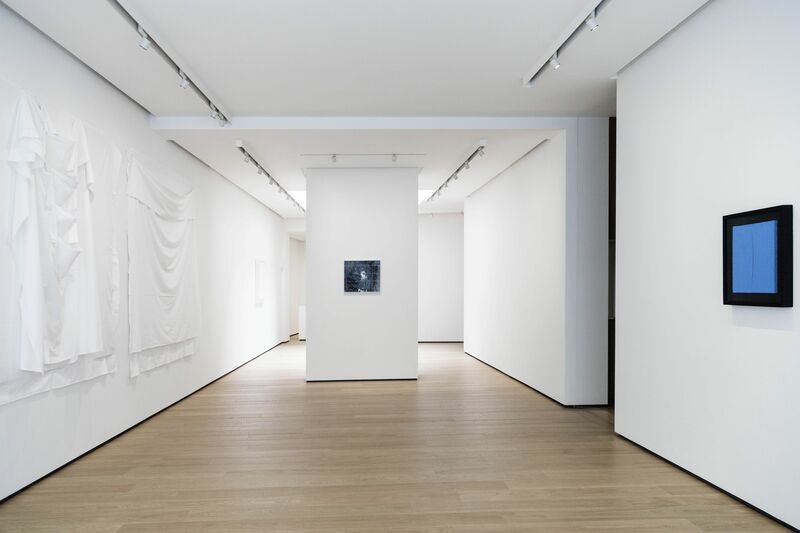 Along the way there is a further elaboration, which lasted ten years (from 2001 to 2010), performed on hand-carved tissue paper, by the Italian artist Elisabetta Di Maggio (1964). The exhibition will be followed by the publication of a volume, not a catalog, that will focus on the fil-rouge of the exhibition. “I invented it in Vienna in 1962. When I typed the idea of the project on a piece of paper, I did not think it would have ever been executed. It was a nice idea. I had imagined the sound of a hundred metronomes that stopped one after the other. One hundred was only a rough figure: I was thinking of a sufficient number of metronomes so that the noise, initially uniform, gave rise to rhythmic constellations that changed little by little“. With these words György Ligeti describes and programmatically summarizes the profound meaning of one of the most perturbing and conceptually proactive compositions in the history of Western music. Written, in fact, in 1962, the Poème symphonique, “musical ceremonial” for a hundred metronomes driven by ten musicians coordinated by a director, thickens in itself a multiplicity of issues related to the intersected planes of spatiality and temporality, ie visible and audible, evidence, thanks to the sonorous metronome movement, of the broader concept of impermanence. Consistent with Second Solution of Timelessness and to the works that make up the exhibition substance, created by Roberto Favaro in collaboration with Marco Pedrazzini and Icarus Ensemble together with the Association of Amici di Musica/Realtà, the Poème symphonique by Ligeti recalls the attention of the spectator/listener/observer on a series of crucial nodes of the musical event and its rich plastic, performative, gestural, architectural and visual implications: the beginning and the end, in first place, ie the perceptible manifestation of a threshold that separates and distinguishes what has already been from what musically it is not yet, but also the progressive extinction of all the hundred indicators of time until the last one, agonizing signal that finally enshrines the exit from the specific and special time of the music. 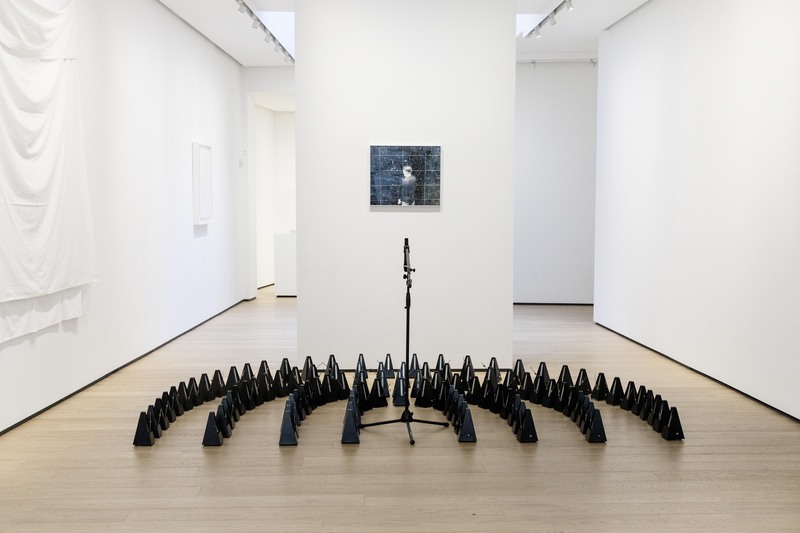 Secondly, the audibility of the plastic object, the staging of its voice through an automatic gesture which, however, thanks to the different speed levels of the individual metronomes, is already a choreographic action in itself, a multiple architectural exploration (or measurement) of the space – “Space here becomes Time“, Wagner would say. 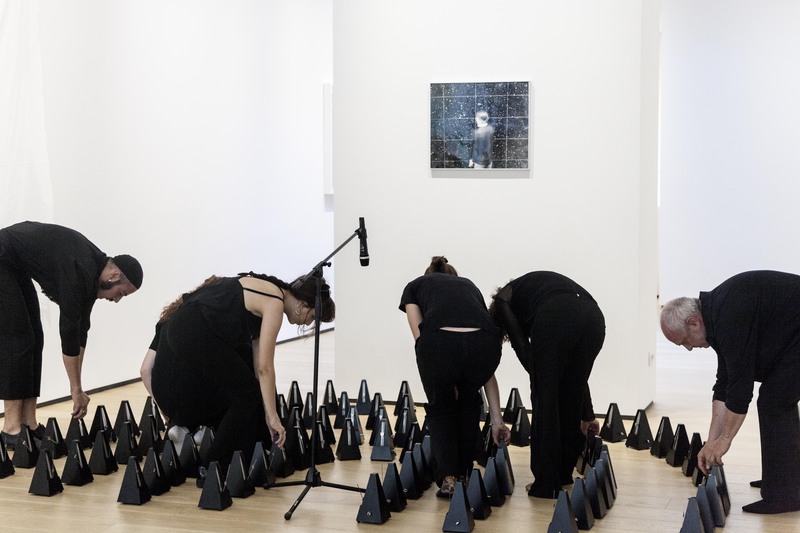 And furthermore, the complicity of cooperation between music and art, where the typical object of measuring musical time, organized here in an orchestra of a hundred elements, also figures as a fascinating plastic – visual installation which in turn is sonorous, to remind us, by the way, the seven metronomes of the famous Wall of Time created by Enrico Castellani in ’68; and then the multi-sensorial quailfication (for the eye, for the ear) of space through the physical presence of metronomes together with the immaterial and intangible evidence of their sound; in the end the rich proliferation of overlapping rhythmic and kinetic planes, destined to generate the continuation of acoustically changeable things perfectly in line with the typical positive poetics promoted by Ligeti in his other works, built on an apparent, immutable staticity of sound bands in continuous, microscopic transfiguration. The title, Poème symphonique, recalling in itself (as, on the other hand, the Ton Malerei, ie sound painting, of the German Romantics) the nineteenth -century genre of program music – music that describes, telling it through sounds, an object, a story, an event external to it – inclines towards a narrative potentiality summarized in the articulated eloquence of the one hundred metronomes that refer to the complex and elusive history of (not only) musical time, here together horizontal, linear and directed, and at the same time vertical, unchanging, devoid of separate events, as in an irreparable eternal present. We thank Valentina Branella, Ilaria D’Agostino, Salvatore De Pascalis, Arianna Mattietti. We thank Wittner for providing the metronomes. 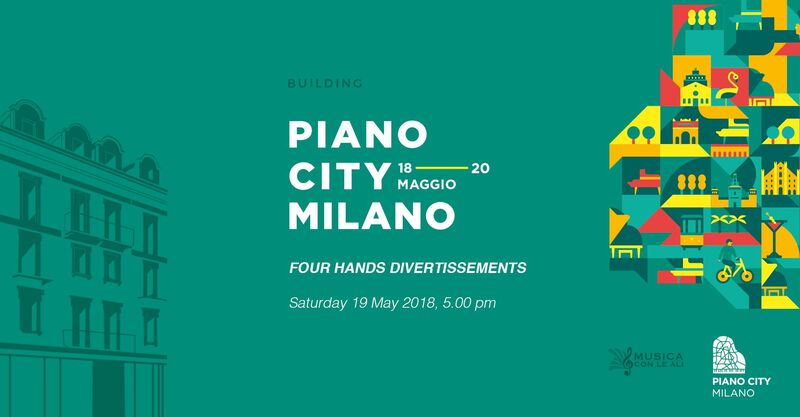 For the first time, BUILDING and the Associazione Musica con le Ali take part in the Piano City Milano marathon (18 – 20 May 2018), and jointly organize a site specific concert for via Monte di Pietà, starring Emma Pestugia and Martina Consonni, in a four hands piano program, ranging from Mozart to Schubert, and ending with an overwhelming Brahms, a repertoire that is more than a mere divertissement, in the golden age for Hausmusik. 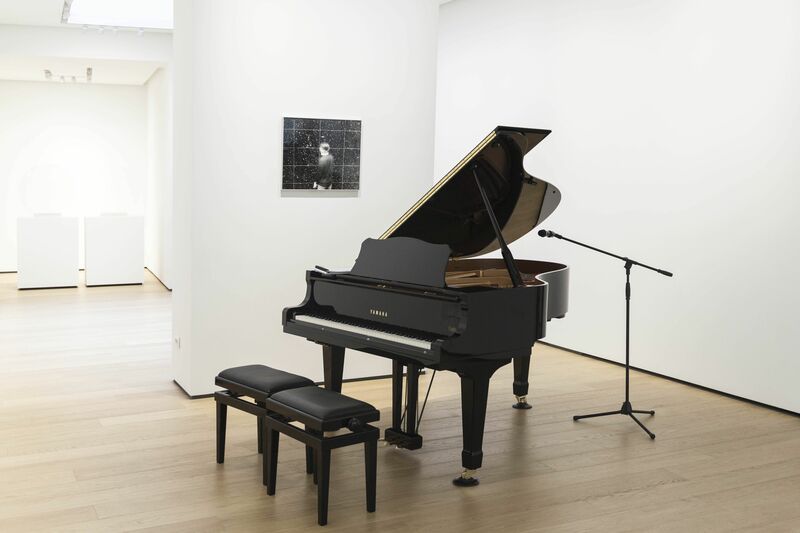 The concert takes place on Saturday 19 May at 5.00 PM, just a few days before the opening of the exhibition Second Solution of Timelessness (16 May – 14 July 2018), curated by Helmut Friedel and Giovanni Iovane. 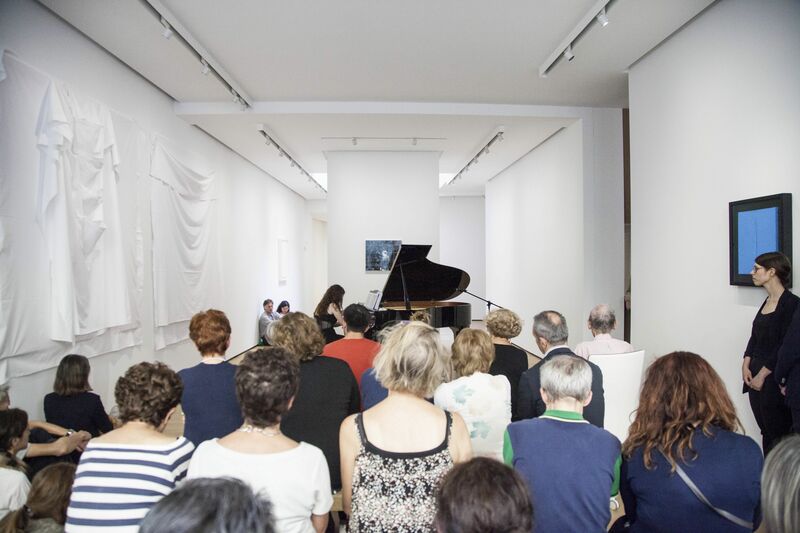 The piano duo has two musicians in their twenties, Emma Pestugia and Martina Consonni. 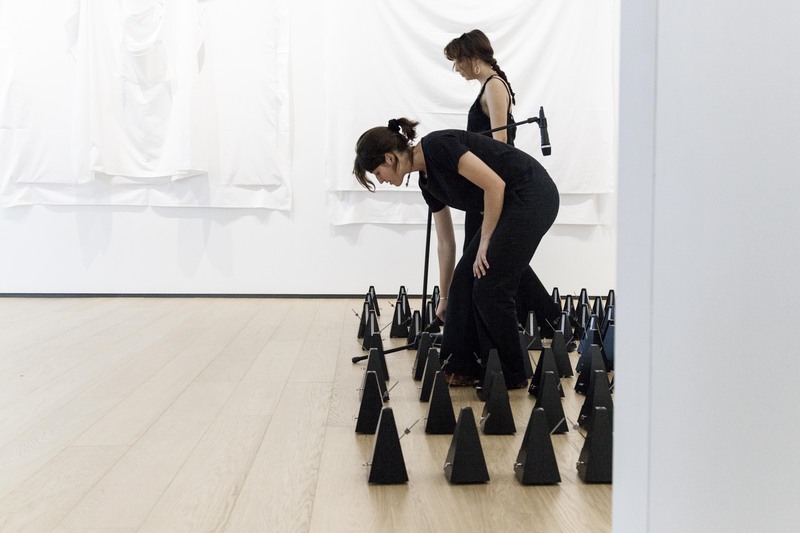 Emma attends the Triennial Academic course at the Conservatory of Venice under the guidance of Professor Lo Porto. Winner of the First Prize at the Grand Prize International Competition in Vienna and at the IBLA Grand Prize, she performed at the Musikverein in Vienna and held several solo recitals (among them, Milan – Concert Society, Emilia Romagna, Venice). Martina graduated at the age of fourteen with full marks and honors from the Pavia Conservatory. Winner of fifty first prizes in international competitions, including the prestigious Premio Casella at the Venice Prize, she performs regularly as a soloist and with orchestra in Italy and abroad, in Paris, London, New York, Bacău and Lugano, just to name a few. The concert consolidates the vocation and the mission of BUILDING, as a center for the arts, also conceived for performing arts, with a program that in every occasion tries to make different disciplines interact with each other. 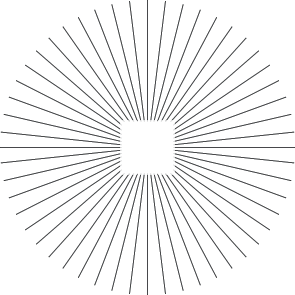 The Cultural Association Musica con le Ali was established in Milan in December 2016, by current chairman Carlo Hruby, along with his wife and their children. The idea to create this Association came from the awareness that music, particularly classical music, is one of the most important cultural heritages of our history, as well as an outstandingly valuable instrument for personal development. The aim of the Association, which is a non-profit organisation pursuing social initiatives, is primarily to sustain and enhance the value of musical projects, paying special attention to young people and classical music.